An escalation of violence in Iraq, where militants have captured the city of Mosul and are moving toward Baghdad, has put the energy complex on high alert. With US President Obama suggesting that he's considering ALL the possibilities, some traders fear that the disruption for one of OPEC's top producers could spread around the Middle East. Consequently, WTI crude rallied sharply yesterday, gaining $2.39 to $106.87. Demand for safe haven assets made a comeback as events in Iraq moved back into the spotlight, with stocks stumbling for a second day and gold seeing gains of $12.3 to $1,273.2. Even though this is a positive change in the short-term, it's still far too early to say whether the precious metal has started to see better days. 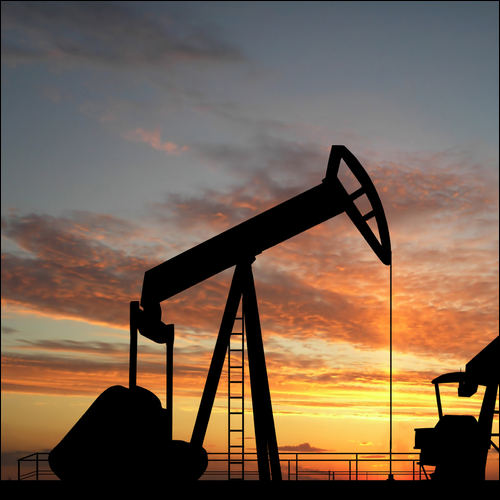 The US Department of Energy released its weekly stockpiles report on Wednesday. The figures pointed to a larger than expected 2.6m barrel draw in crude oil inventories, which was double the initial estimates of just 1.3m barrels. The discrepancy pushed US crude prices $0.18 higher to $104.49 per barrel, whilst OPEC agreed to maintain its production target at 30 million barrels per day. Gold closed nearly flat at $1,260.5 after failing to attract any meaningful interest following fresh concerns disseminated by the World Bank's growth comments. While the precious metal did post a slight rebound last week, the overall outlook remains bleak and gold technical analysis suggests that only a cross above the $1,280 mark could bring better prospects. WTI crude lost just $0.17 yesterday, settling at $104.29, as light profit taking crept in following the previous day's sharp climb. Speculation that oil inventories in the US have fallen for a second week acted as good support, discarding renewed strength in the dollar. Meanwhile, OPEC is due to meet later today and most commentators expect them to keep their quota unchanged at 30 million barrels per day. Enticed by the steep plunge seen in gold prices lately, physical buyers finally went out bargain hunting. This seemed to be particularly prevalent in China, the world's largest consumer, where there were reports of sudden rise in demand that helped push the precious metal $7.3 higher to $1,259.9. On the one hand, China's exports rose by more than initially anticipated and, on the other hand, the economic outlook in the US keeps improving. This makes it easy to see why investors are optimistic about global growth at the moment and the energy market showed just that yesterday. WTI crude posted a sharp rally of $1.78 to $104.55 per barrel which was also helped by reports that political tensions in Libya could disrupt oil supplies. Good news about the US economy was met by ongoing struggles in Europe, where German investor optimism fell to 8.5 against predictions for a reading of 13.3. This meant that gold saw just enough safe harbour demand to put a stop to the violent sell off, with the precious metal closing flat at $1,252. Some encouraging nonfarm payrolls data, with US employment reaching its pre-recession peak, easily spilled over into the energy complex on Friday, pushing crude prices higher. Nymex crude saw particular benefit, gaining $0.32 to $102.76 despite a slightly stronger dollar which usually puts downward pressure on oil prices. With investors continuing to focus on equity markets, gold was ignored again, finishing just a tad lower at $1,252.8. Precious metal traders can take solace from the idea that ECB action may inspire some to move back into the market, but participants have remained slightly unimpressed by the easing attempts so far.